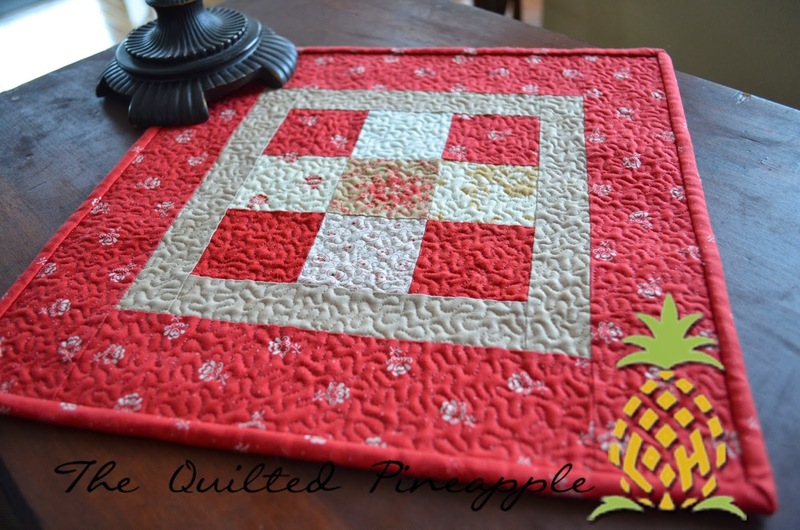 THE QUILTED PINEAPPLE: What a Beautiful Day! I woke up this morning to the sun shining! It is amazing how a new day brings the opportunity for endless possibilities! I love that! Can you hear the skip in my step? 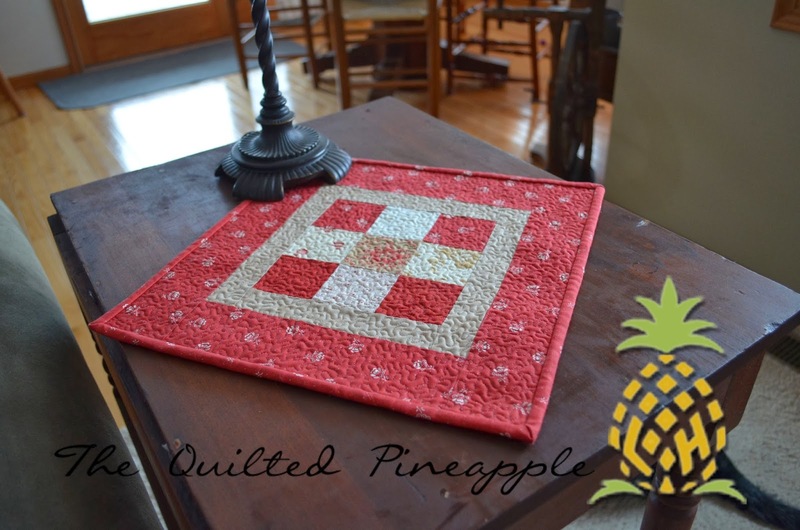 :-) Thought I would share some fun little quilts with you all. They kind of have a Valentine-ish feel to them. First up is a table runner called Hour by Hour from the book The Blue and the Gray by Mary Etherington and Connie Tesene. I am quite positive that I would love to make every project in that book! I changed my version ever so slightly from the one in the book. Last summer the girls earned a dance scholarship to attend a dance camp in Chicago, so I used the time while they were at camp to visit some local quilt shops there. 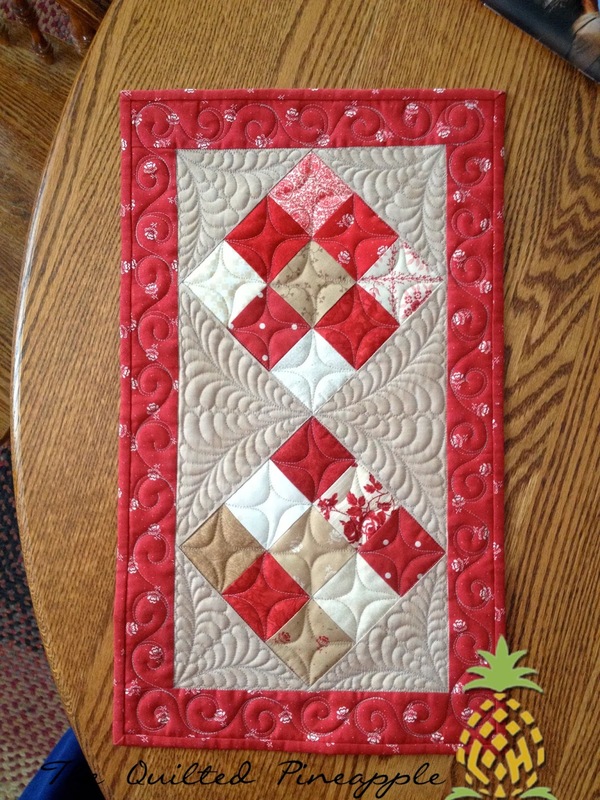 I purchased a kit for this from Pieceful Gathering Quilt shop here. If you are ever in their neighborhood, it is an awesome shop!!!! The snow was beautiful this morning. I cannot believe I just said that. lol The snow looked like diamonds sparkling in the sun. I opted to add the two end borders from fabric from my stash. I could not be happier with how it turned out. I am trying to add more blue and gray around here. I will keep this out through the Jan/Feb months. The fabrics definitely have a romantic feel to them. 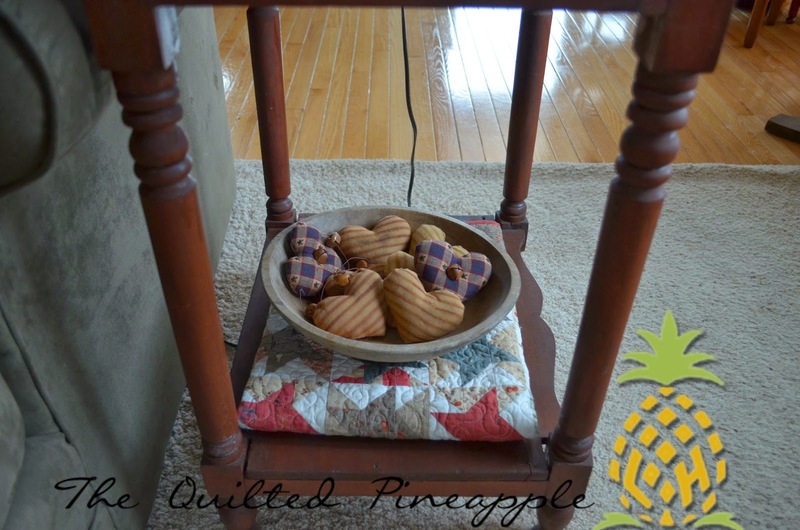 Next up, I finally quilted my other version of Paganini Schnibbles!!! Yay! It was on loan at my LQS for a few years. Again, perfect for Jan/Feb decorating. This top was one of the first posts on my blog here. Paganini is one of my all time favorite Schnibbles!!!! One of my all time favorite quilts period by genius aka Carrie Nelson. The pattern is available here. Next up, I made a couple of table mats as gifts for my friends that I gifted on our retreat a couple of weeks ago. 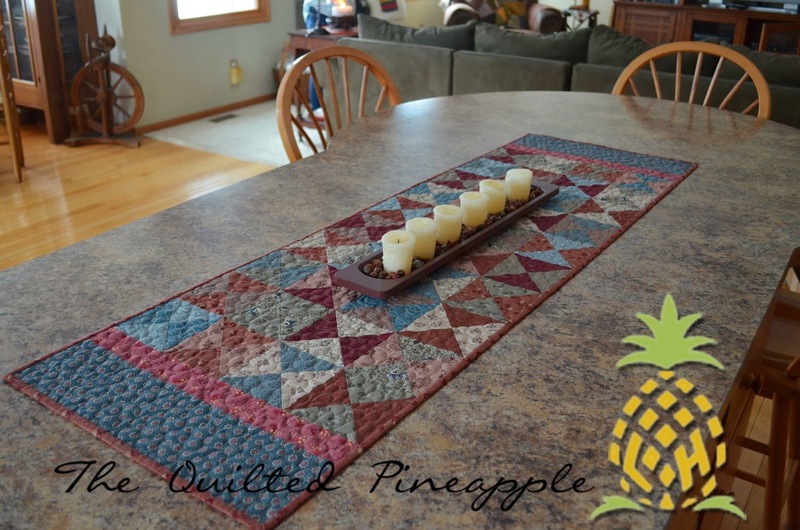 The pattern is based on a runner designed by Sherri at A Quilting Life. The pattern is available on Craftsy here. Sherri has been designing some great little projects using Moda Candies, which is what I used. 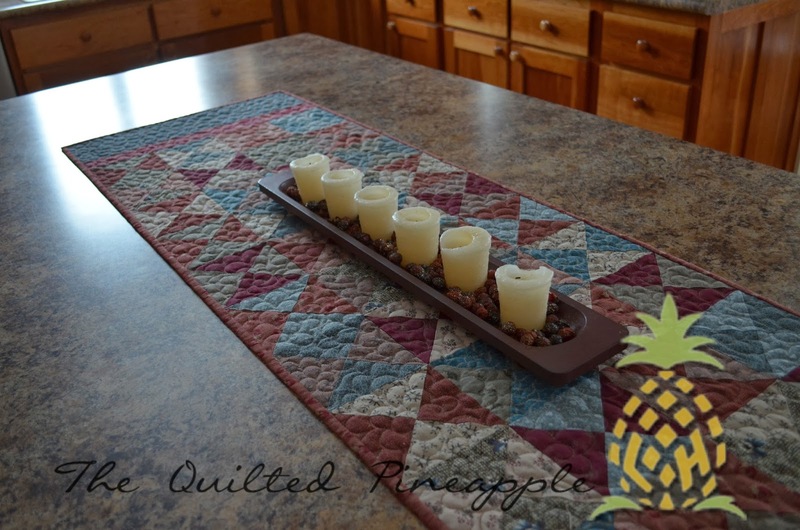 With my left over 2.5" Candy pieces, I made myself a little 12" candle mat. 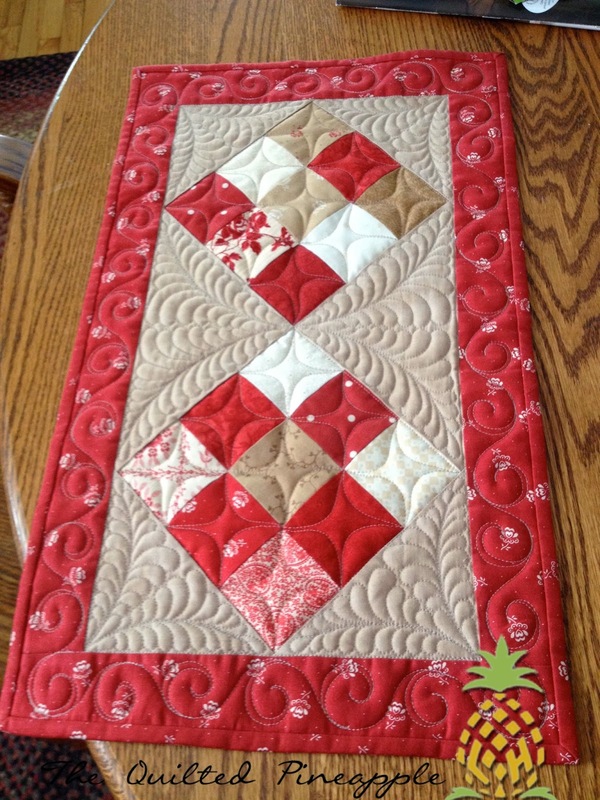 I took a morning and quilted 7 little projects in early January all on the same backing. People always ask me what I do with all my little quilts. I find that question so funny!!! They make the best decorations! 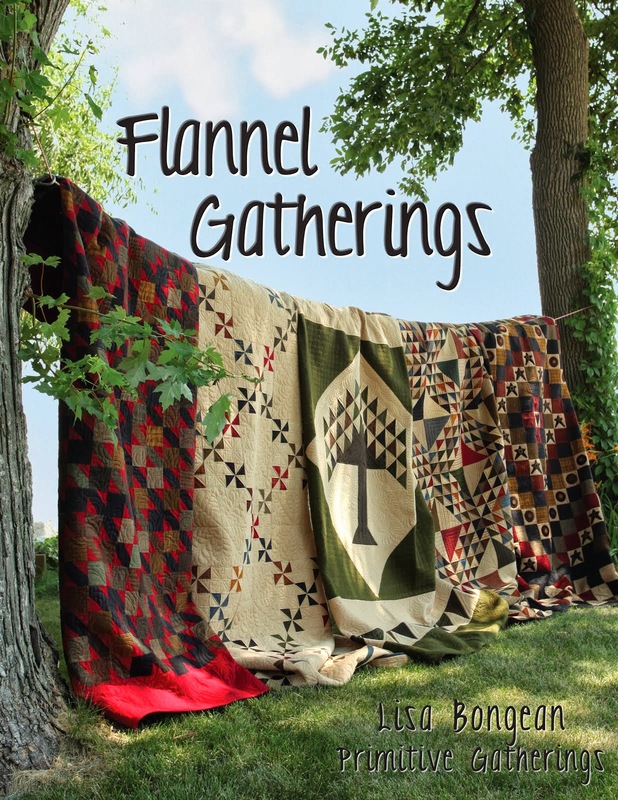 Wonderful quilts and they look beautiful in your home. 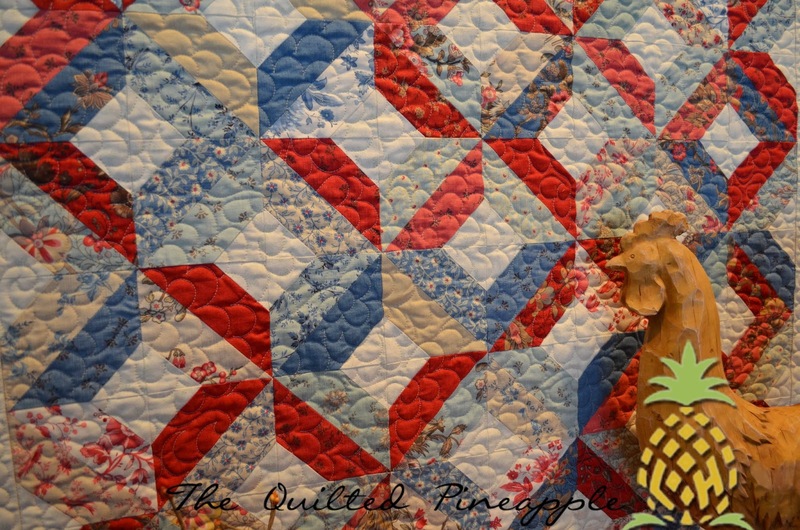 Yourr quilts are just beautiful. I love the label you made. Such lucky friends! 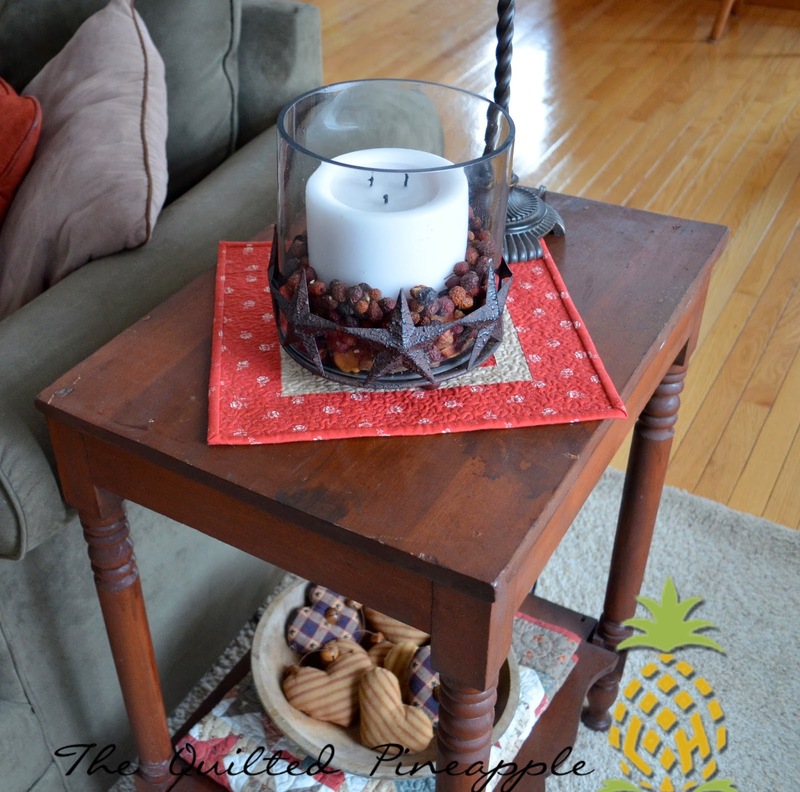 Pretty table runner and I like the photos you took with it in the tree! I also like the two end borders you added. 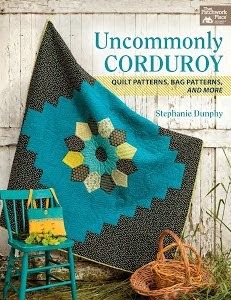 Every quilt you make is eye candy the way I see it! 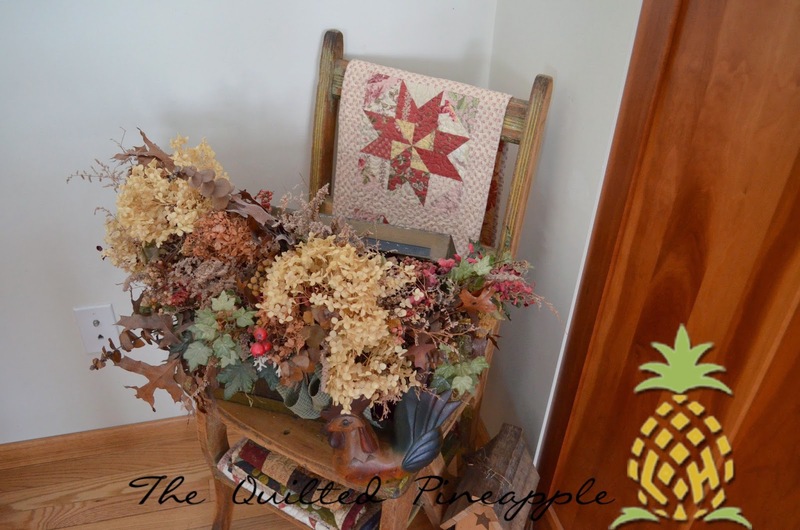 And I think half the fun of making quilts is finding creative ways to display them! All good (love the photo taken out in the snow) but I especially admire your Paganini quilt. I noticed it in the background of a photo in a earlier post. I have that pattern on my "list." Wonderful projects. I totally agree about making every project in the Blue and the Gray. I decorate all over my house with small quilts, too. They are perfect almost anywhere. Lovely quilts, Linda! You've been staying busy. Yes, I had an extra skip in my step today too. It was truly a gorgeous day here in Michigan! Wow! Each of these are super eye candy! Even though I have had more than my fill of snow... I will admit that it makes for a perfect backdrop for your runner! 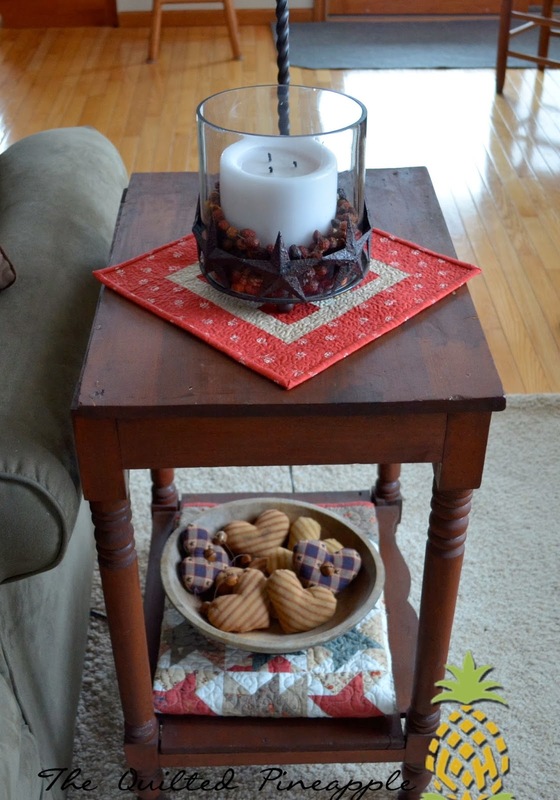 A folded quilt on a table is a way to display, that I never thought of... thanks! Sunshine in winter makes a big difference, doesn't it? We had a sunny day too and it also put that pep in my step! You are such a talented quilter. Love the quote from Helen Keller. You are going to cringe when I say this - but I have labeled none of my quilts. There aren't many but I do need to do it. 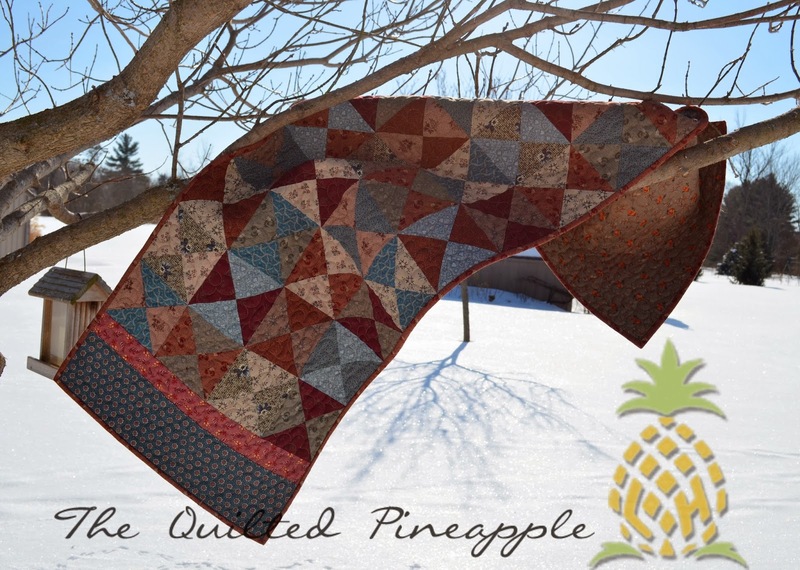 The snow is beautiful and all of your quilts are beautiful! 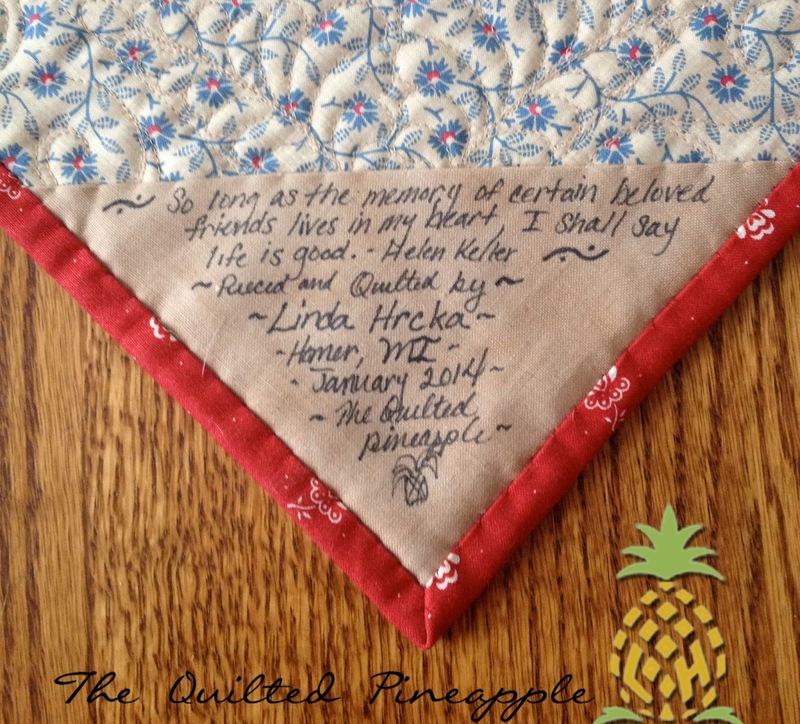 I love, love, love the Helen Keller quote...makes me want to put quotes on all of my labels! Doesn't the snow make the greatest backdrop for quilt photos? 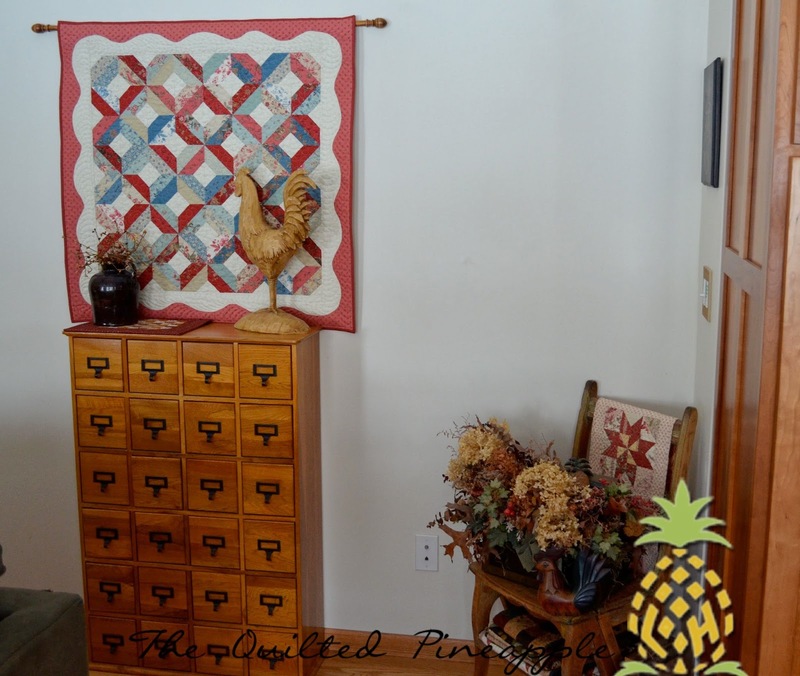 I love your photos showing how you use your quilts throughout your home, and your quilting is gorgeous, too. They were all so beautiful! You are generous and sweet, what lucky friends! You are so talented. I love every one of your cute little quilts., Your quilting never ceases to amaze me. It absolutely MADE the runner that you gifted for your friend. She must be a very good friend to receive such a work of art. Lucky lady. Gorgeous, each and every one. That is the nicest label I think I've seen. Would you share with us your method of attaching the label? Your work is exquisite! Thanks for your blog. I really IS a beautiful day, Linda! 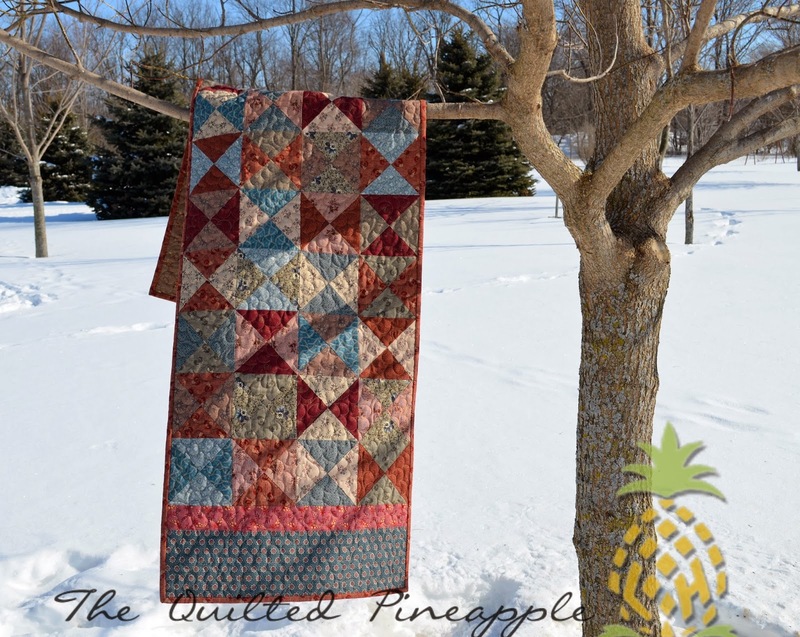 Your quilts really make the sun shine even brighter! 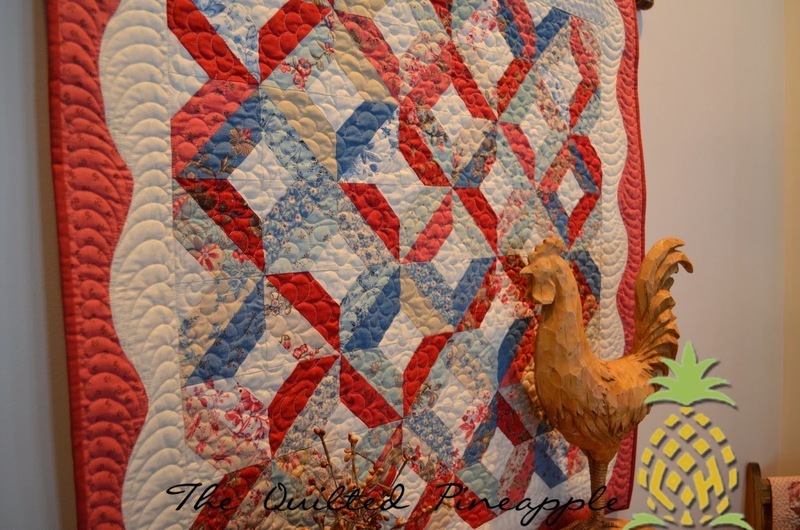 Such lovely quilts, all of them! Your house looks lovely with them. And you are right, I could make every project in that book, it is just so inspiring! What a great opportunity to visit new shops when your girls are at camp, love going to new quiltshops! trying to pick a favorite...no luck. Isn't quilting them all on the same backing the best!!! It fells like such a huge accomplishment...and it is! 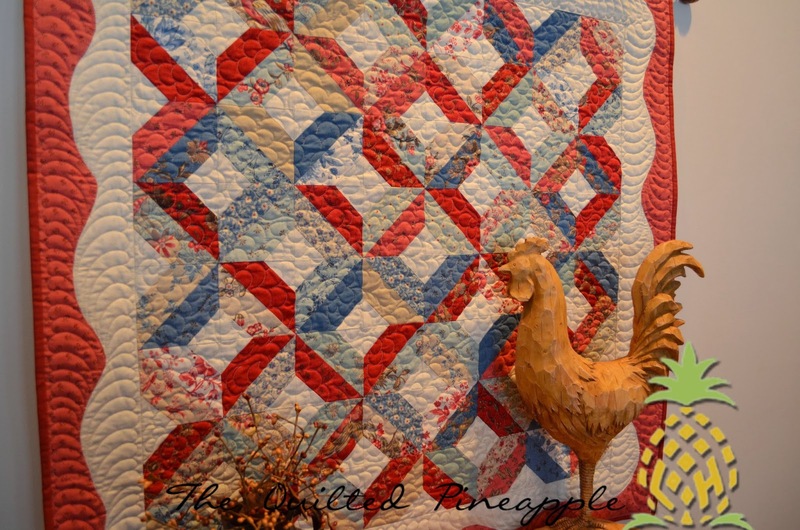 Great quilts, large and small! 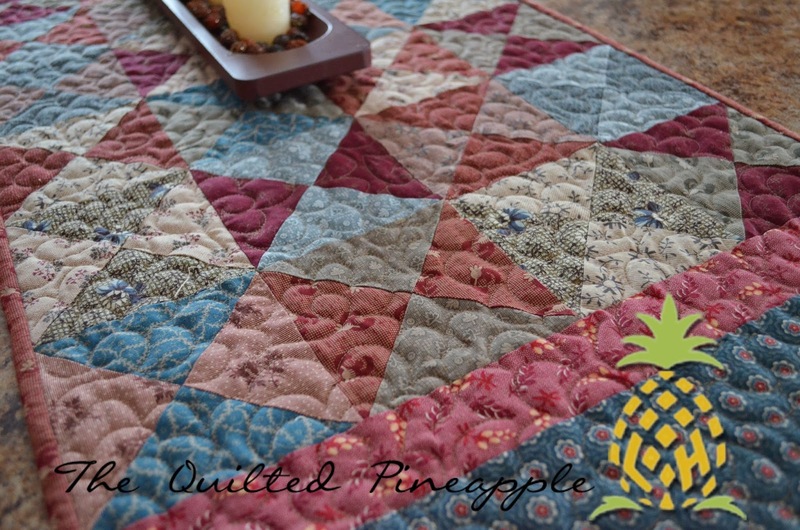 Love your quilting :) You can never have too many quilts of all sizes. 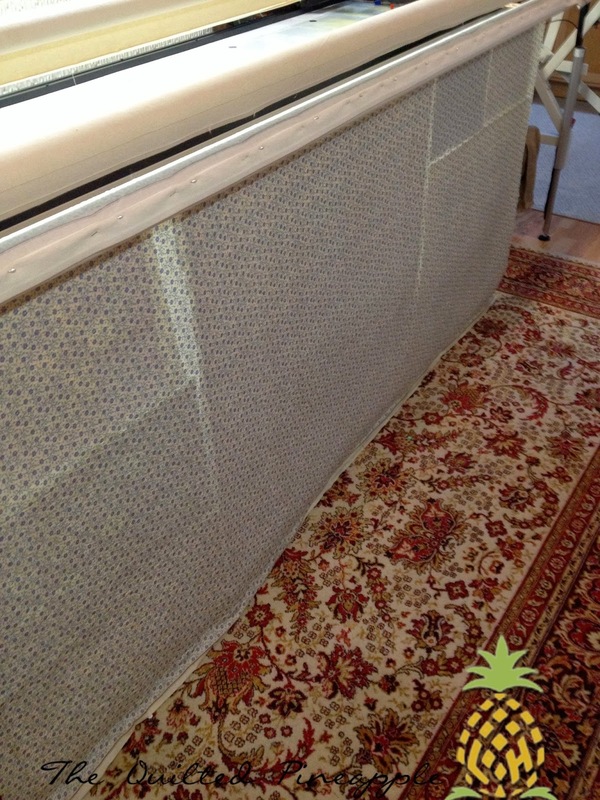 It if comes down to it, you could use quilts as wall paper in every room and while you are creating a beautiful room you will also increase the insulation in the room - so important this cold winter!! Jealous of your snow!! Great job, young lady! Your work, as always, is awesome!